Hey, it's May! 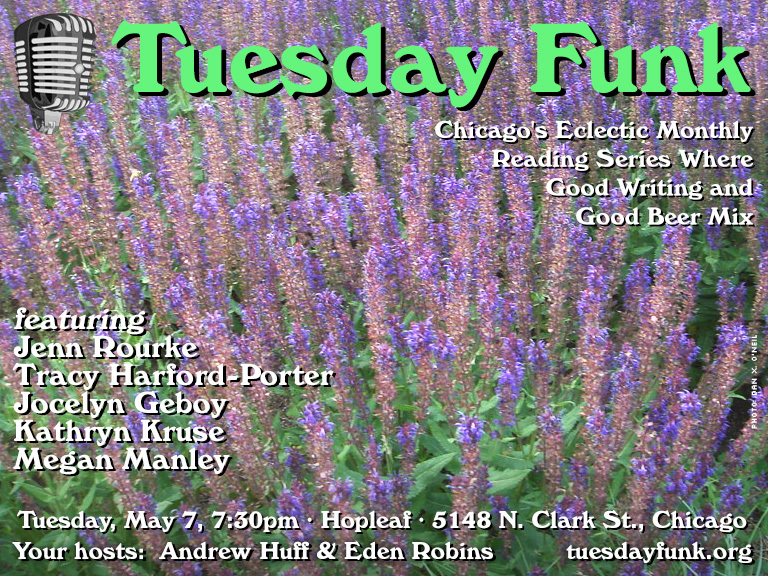 Well, it will be soon -- and your favorite eclectic monthly reading series is back on Tuesday, May 7! Join us in the upstairs lounge at Hopleaf, where we'll feature readings by Jenn Rourke, Tracy Harford-Porter, Jocelyn Geboy, Kathryn Kruse and Megan Green. Admission to Tuesday Funk is free, but you must be 21 to attend. Doors open at 7pm sharp (don't be slow if you want a seat!) and the show will start at 7:30pm. Please RSVP on Facebook, and don't forget to like and follow us so you get our announcements right in your stream. This page is an archive of recent entries in the Reading #127 category. Reading #126 is the previous category. Readings is the next category.